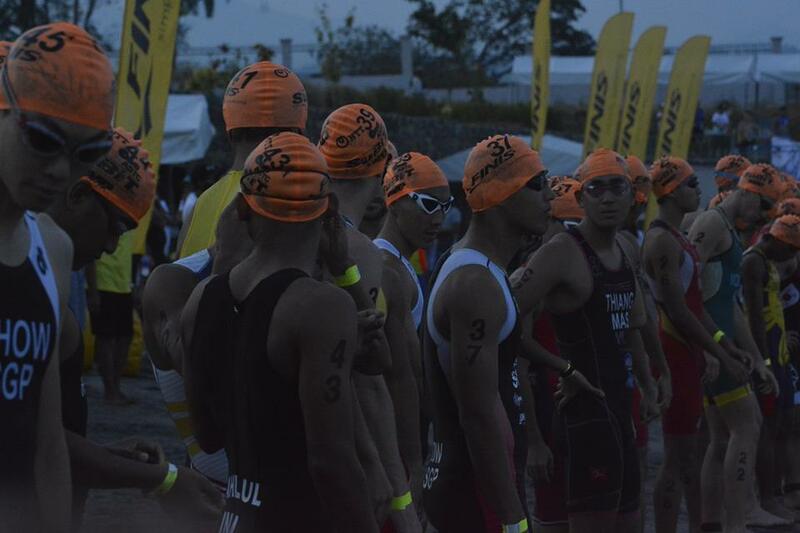 Two weekends ago, I made a very quick trip to Subic Bay in the Philippines to take part in the Subic Bay ASTC Triathlon Asian Cup. It has taken a while to get down to writing this report, the only thing taking more time being how long it took me to get in and out of T2 during the race. SubiT was a last minute addition to my pre-SEA Games racing calendar. With Dylan only 8 weeks old, I wanted to spend the least time away from home as possible. A big thank you goes out to the Triathlon Association of the Philippines (TRAP) for accommodating my travel arrangements. I got on a red-eye flight from Singapore at 12.35am and landed in Manila about 4 hours later. After an eternity clearing customs, my super driver, Raffy, pulled out some Fast and Furious-esque driving through the notoriously bad traffic to get me to the race hotel in time for breakfast. After a quick brekkie and several much needed coffees, I put the bike together and headed out with the rest of the team for a look at the course. I’ve raced SubiT a couple of times before so there wasn’t much surprise with the bike (2.5 loops) or run (3 loops) course. The swim start was moved to ACEA resort at Dungaree Beach. 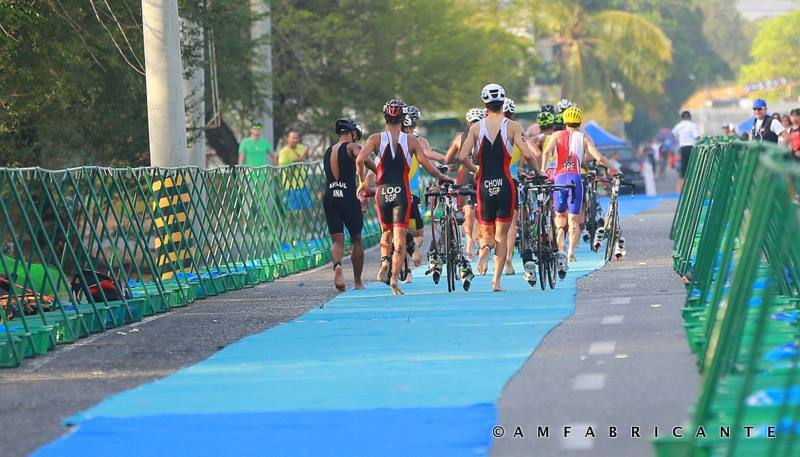 While the 2 lap swim was pretty standard, the killer was the 200m run up to our bikes in T1. An uphill climb to T1 is a friend to no one. The rest of Saturday was spent having some pizza, getting some groceries and marvelling at our instant tan lines, courtesy of the intense Subic Bay sun. They like an early start in the Philippines. With race start at 5:30am, Clement and I had our delicious, instant oats for breakfast before heading to drop our shoes off at T2 at 4am. After that, I tagged on with some of the Taiwanese and Japanese athletes for the 10km ride through some sparsely lit streets to the swim start. 50 guys on a beach? Good idea! This was a disaster…probably the worst swim I’ve had to endure. It wasn’t the flailing arms and legs or battling for position in the early stages…it was the horrible feeling of resignation as you slip slowly, slowly through the field, unable to hold on to the feet of swimmers you would normally be ahead of. I tried to assure myself that it would be alright once I got some clear water and settled into my stroke. I got the clear water I wanted, but believe me, it didn’t make anything better! I spent the second lap trying to close the 10m gap to the small group in front but to no avail. I was feeling so lousy in the swim that I actually looked forward to getting out and climbing the slope to my bike! I got out of the water in who cares what position with the singular goal of making sure I made the pack on the bike. SubiT was one course you didn’t want to be left isolated on. Thankfully, I soon found myself in the company of Rambo (John Chicano), Clement and some others. We took the first hill at a good pace then gunned it on the descent. It took a short chase but we made it onto the back of the guys in front without too much drama. Our pack soon swelled to about 10-12 athletes as we swept through the bike course. Training has lacked its usual consistency in the last few weeks as Meryl and I have tried to adjust to having two kids instead of one. Substituting some shorter, more intense trainer sessions has helped to limit the damage, but I definitely am not firing on all cylinders on the bike. I felt it in Subit as I felt alright rolling through in the pack but lacked the power required to be a protagonist during the 40km bike. As we rolled into the world’s longest transition at T2, the South East Asian athlete count was four Filipinos, three Singaporeans and an athlete each from Malaysia and Indonesia. The other SEA athletes that weren’t in our pack had lost a bunch of time. Turns out that SubiT was one of the key races that TRAP was using for their SEA Games selection, so the Pinoy boys were all looking super fit. 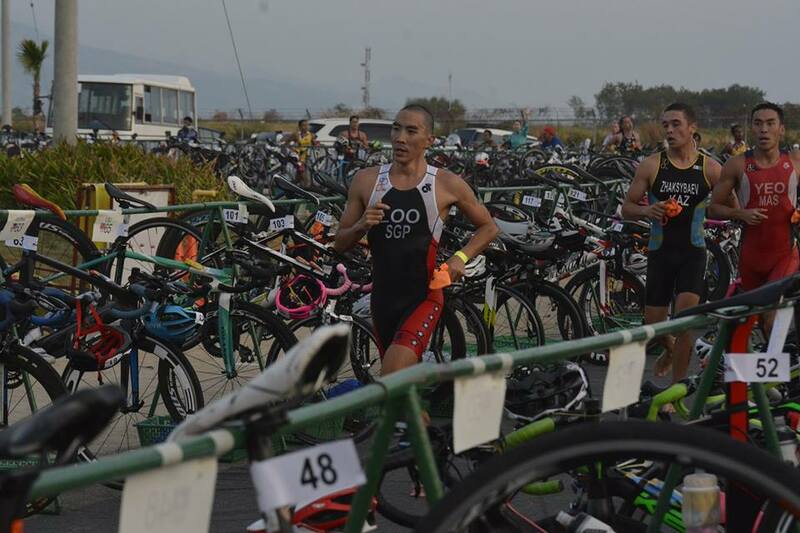 Rambo and Mark Hosana took off out of T2 and their super strong runs would result in them being the first two Filipinos across the line. 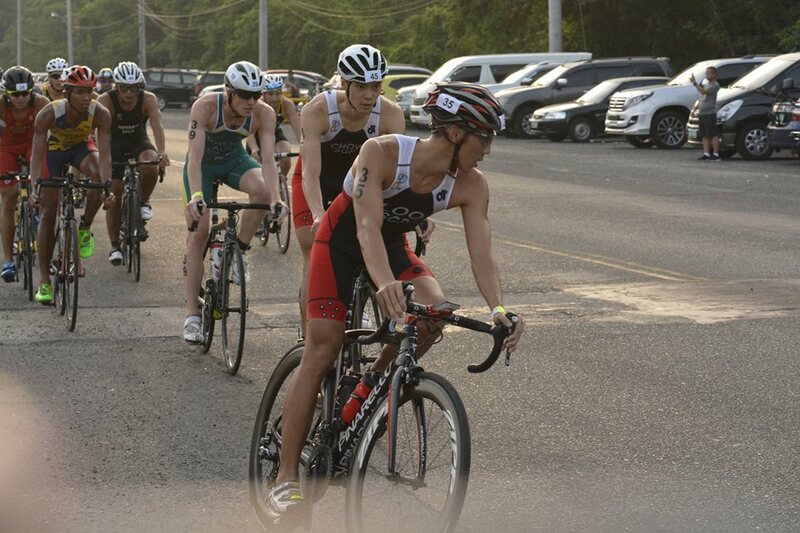 Zac and Clement also got out of the blocks pretty quickly and opened up a sizeable gap ahead of me. A nasty bout of stomach flu left me bedridden for two days a week before SubiT so my big hope for the run was for it to not descend into a death march. It is extremely frustrating and zero fun to be a participant and not a competitor, but I had to take the run out cautiously and hope for the best. I wasn’t wow-ing anyone with my speed but I was managing – my form hadn’t broken down completely and I felt stronger as the meters ticked by. By the end of the third lap, I’d caught Clement but ran out of real estate, giving up about 20sec to Zac at the finish. The timing was nothing to shout about but I was satisfied with how the morning turned out. This race could have been an absolute disaster. 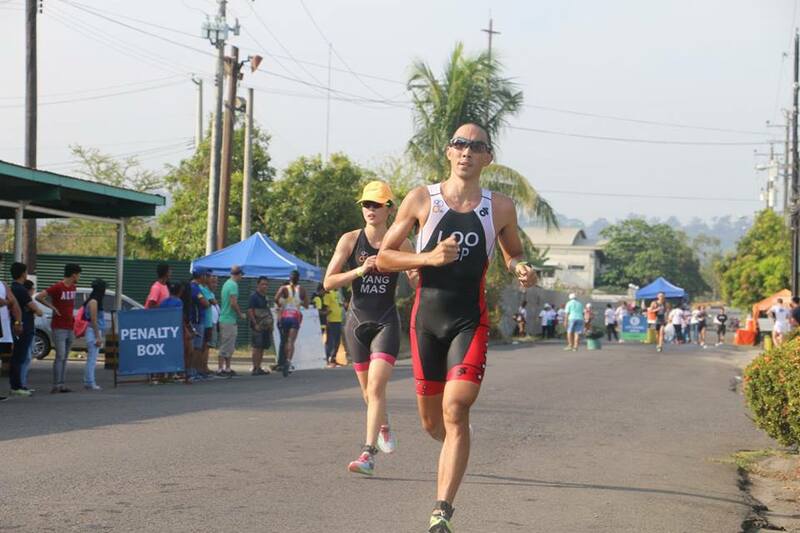 I didn’t have my swim to put me in a good position, struggled for power on the bike and lacked the pace on the run. Thankfully, maybe it was a combination of experience and will power that allowed me to salvage a decent, if not spectacular performance. This whirlwind trip couldn’t have happened without Meryl taking care of everything at home and my parents for providing a huge assist. Thanks to TAS for the arrangements and Fabian for taking care of the team. It was good to meet some of the juniors as well. Next up, New Taipei ASTC in a couple of weeks. Lots of work to do, time to get down to business.